Greece’s capital city is a very popular tourist destination. It is a very big city with loads of things to see and do – you could easily spend a few weeks here and not get around everything! Luckily, there are several great free things to do in Athens meaning that a holiday here need not break the bank. You can intersperse free sights with paid attractions to lower your daily budgets. Athens is easy to get to and from, with international flights from various countries around the globe and excellent transportation links with other parts of the country. There are also numerous domestic flights too, used often by people wanting to continue to some of the splendid islands. 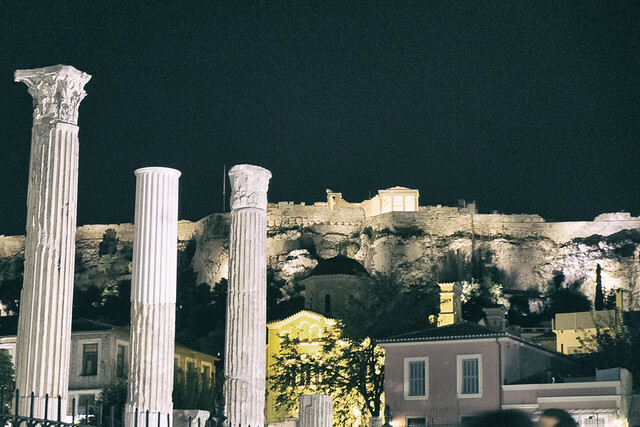 The birthplace of Classical Greece, see where Western civilization began and have a fabulous time in Athens! Every morning at 11am there is a small Changing of the Guard Ceremony outside the Parliament Building. This is in Syntagma Square. 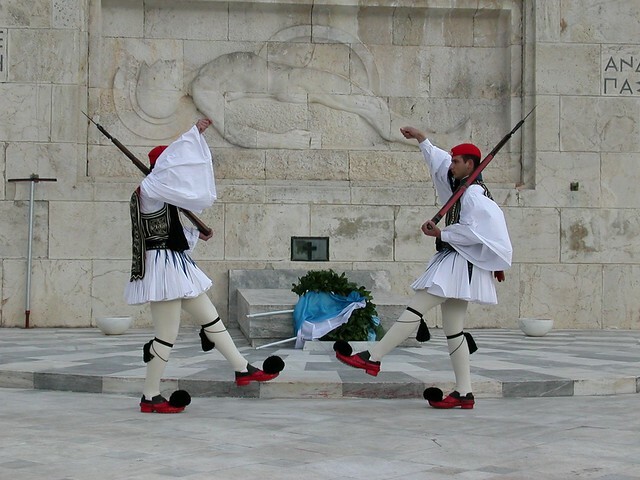 The decorative uniform represents several different areas of the country from different times throughout Greece’s history – the guards wear pleated skirt-like garments with long tasselled socks, red hats, shirts with loose, flowing sleeves, and shoes with huge pompoms! It’s a nice bit of tradition to watch. If you are around on a Sunday at the same time, there is a larger ceremony with a band. There are some pretty beaches within just a short ride of the heart of Athens. Whilst you will have to pay a small sum to catch the bus to them, once you are there you can laze on the sands and enjoy the seaside atmosphere for free. Buses A2, B2, and E22 go out to the beaches and you can also catch a tram from Syntagma. 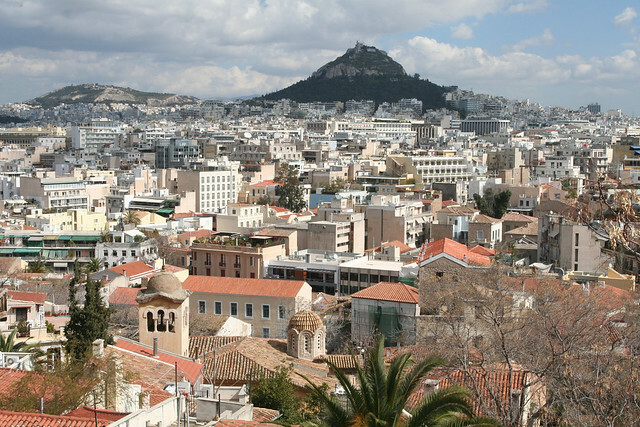 A charming city neighbourhood, Plaka is also the oldest part of Athens. Vehicles are not allowed on the charming streets, meaning that you can enjoy a peaceful stroll simply soaking up all the historic architecture all around. The atmosphere is laid-back and you’ll find plenty of cute little pavement cafes if you want to stop and recharge your batteries. There are a few hills in and around Athens that you can climb for excellent panoramic views of the sprawling city below. Mars Hill has held an important place in society throughout the city’s history, with many a public address, meeting, and trial taking place here. It is low and easy to climb. 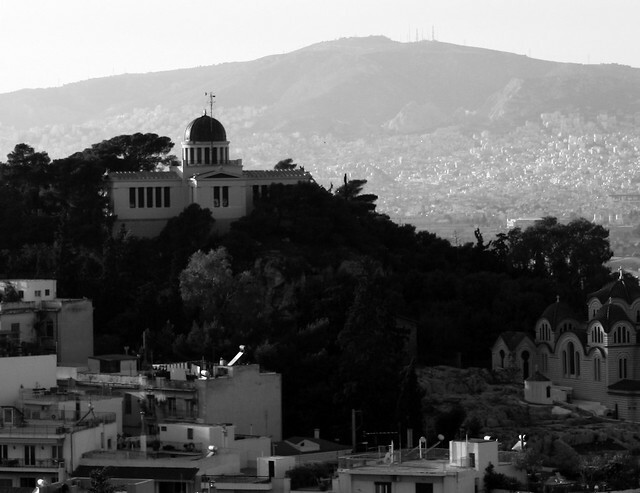 Another favourite is the myth-surrounded Lycabettus Hill. Local legend says that the Goddess Athena wanted a high spot for a temple and so threw a large rock to the ground – this hill. Although it is possible to pay for a funicular to carry you up the hill, the walk will take around half an hour and is completely free! There are several museums, such as the War Museum, that are free to go inside all throughout the year. Others have free days or periods of discounted entry. Some other top free things to do in Athens include strolling around the lively Monastiraki Flea Market, escaping the hustle and bustle of city life and relaxing in the lush National Gardens, and visiting the site of the first modern Olympic Games at the historic Panathenaic Stadium.